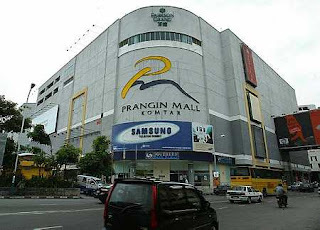 A High Court in Penang has ordered the developer of Prangin Mall, Getaran Unggul Sdn Bhd, to apply for the building's strata title within six months. Justice John Louis O’Hara yesterday allowed an application by eight of the mall's shop lot owners for a mandatory injunction against the developer, requiring the developer to apply for the strata title. He gave the order in the presence of the plaintiffs’ counsel Datuk V. Sithambaram and Lee Khai, and the developer's counsel V. Jeevaretnam and J. Shamesh. The court also fixed July 10 for the continuation of the suit proper against the developer, management company Prangin Mall Sdn Bhd, and landlord of the mall’s common property Istimewa Sejati Sdn Bhd. The eight plaintiffs are suing the defendants for failing to apply for strata title, mismanagement of the complex by allowing “temporary'' stalls to be set up and collection of rental from the stalls without approval of the local authorities. The plaintiffs are Ng Cheng Oo, Lai Saw Looi, Ch'ng Hun Pin, Wu Mei Eng, Ch'ng Giap Theng Sdn Bhd, Heng Ah Leak, Loh Siam Kiang and Ch'ng Hun Boon.